I know I promised an art reveal a few days ago, but the Kickstarter has been delayed again. I’m waiting on character concept art to be completed for my video. I don’t want to record myself on webcam just talking about the project when I can introduce you to the characters instead. I’m really frustrated with all the delays, but I would rather postpone to make sure everything launches successfully. I’ll reveal the finished color piece in a few days, but I hope this will suffice for now. 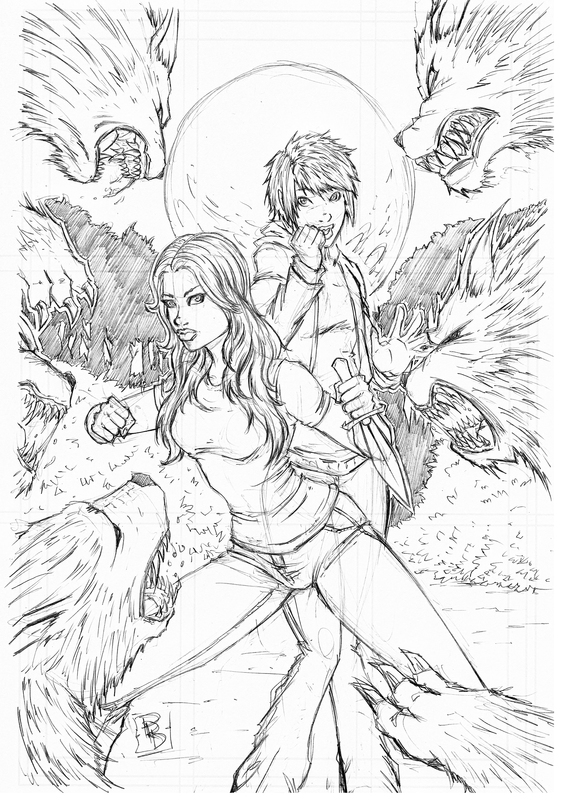 Here we see the protagonist, Kat Reese, defending her girlfriend from some pretty grumpy werewolves. She’s a badass meta-human, but she’s still at risk of infection without the proper armor! There’s absolutely no cure for the Were virus. Thanks for your patience and stay turned for more updates! And please message me if you are a blogger that would like to do an author interview, a Sacrifice preview, or just discuss diversity in literature.